The ISO "stole" Hua Jin from the Fort Wayne Philharmonic, where she was assistant concertmaster from 2004 to 2009. 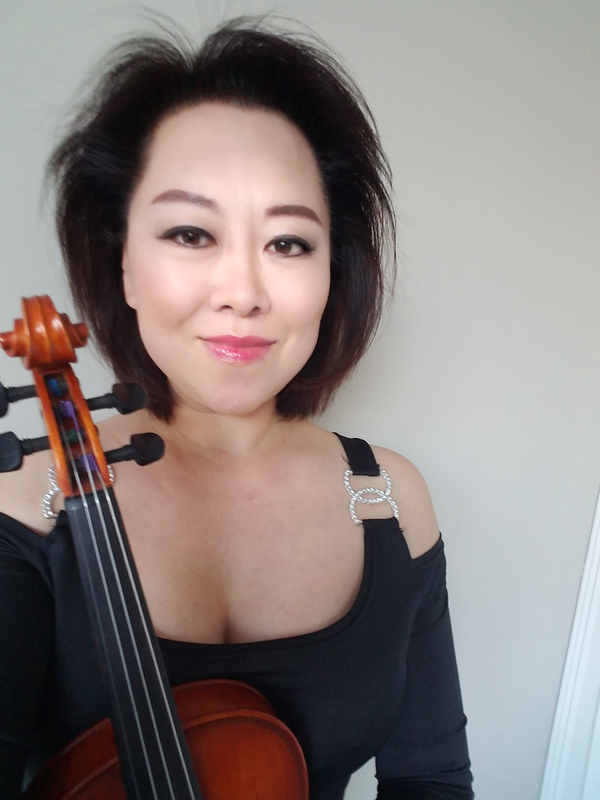 Prior to being a member of the Fort Wayne Philharmonic, she was associate concertmaster of the Kalamazoo Symphony Orchestra and a regular "sub" with the Detroit Symphony. "My father is a violinist and conductor, and was music director of Jiamusi Orchestra in Jiamusi, China," Hua says. "I received my first violin lessons from him at the age of four. And at age 12, I was accepted as a violin student by the Central National Conservatory of Music in Beijing and at 15, I won a prize at the Chinese National Youth Violin Competition. I earned my Bachelor of Music degree at Shanghai Conservatory of Music." Hua received second prize at the Beijing Youth Violin Competition, and won the 1982 Gold Prize at the Harbin Music Festival Competition. She appeared as soloist throughout northern China, and in the U.S. with performances of film composer Franz Waxman's "Carmen Fantasy" and "The Lark Ascending" by Ralph Vaughan-Williams. "In addition to my music performances, I like to play chamber music and teach private violin students," says Hua. "I like teaching. It gives me joy when I see my students progressing and I learn a lot from teaching." "In preparation for a performance, I like to be absolutely confident that I can re-produce the composer's intent with the piece."